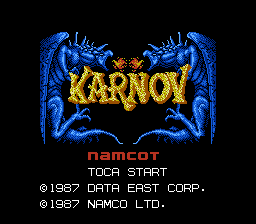 KARNOV, the fire-breathing Russian, is seeking the lost treasure of Babylon. 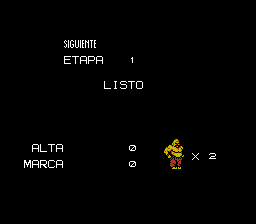 He runs, swims, jumps, climbs and flies through nine levels of game play. 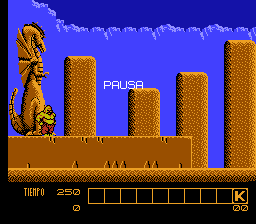 Countless bizarre enemies of various sizes and strengths are out to prevent KARNOV from finding the treasure! 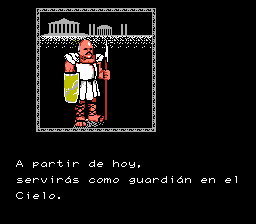 Translation to Spanish for “Karnov”, for the Nintendo Entertainment System. 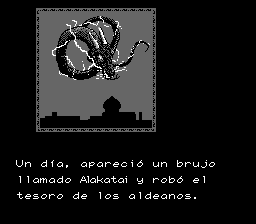 Except the stage start screen and pause. Based on the translation by: Eien Ni Hen and Vice Translations.